What are you anxious about? Bills that need to be paid? Jobs that need to get done? Relationships with people around you? A test coming up at school? A medical situation that is unresolved? There certainly are a LOT of situational seeds that we “water” with our attention as they sprout into anxiety. What are we to do? Being anxious is not something new. In fact, it has been around as long as people. Many sleepless nights and countless health problems (mental, spiritual, and physical) can be attributed to anxiety’s devastating effects. Jesus, knowing that His followers would struggle with anxious feelings, taught about this struggle in the Sermon on the Mount. This Sunday, we are going to be looking at Matthew 6:25-34 to see what He had to say about the topic. I can’t wait for us to open up God’s Word together on Sunday, July 2 at Wildwood Community Church as we look at this extremely relevant subject! This Sunday is the first Sunday in July. We will start our July schedule this weekend as we will have only two worship services for the 5 Sundays in July (9:45 and 11:00). Also, this week only, we will be having an “All In” Sunday. At Wildwood, “All In” Sundays are when we are (you guessed it) all in the worship service together. No children’s ministry classes, student ministry classes, or adult classes will meet this Sunday as we all worship together on July 4 weekend. 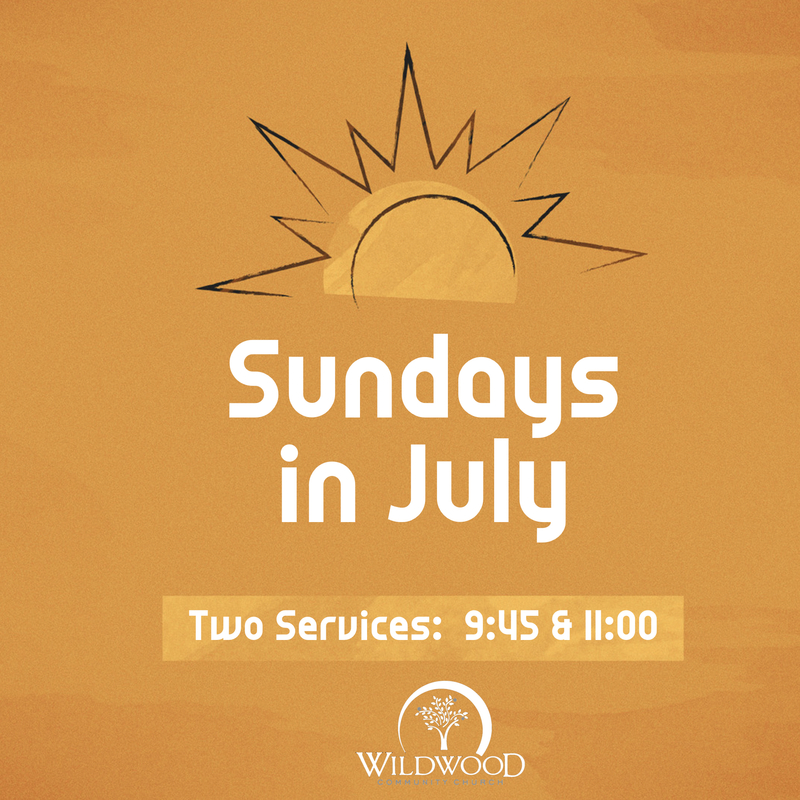 See you this Sunday, at Wildwood!